Harmony Tulum – 2.5 hectares (6.5 acres) of pristine land. The Harmony Tulum Lots conception is born from an organic, unique and carefully designed pattern that breaks away from the square and straight boring lines of typical subdivisions. 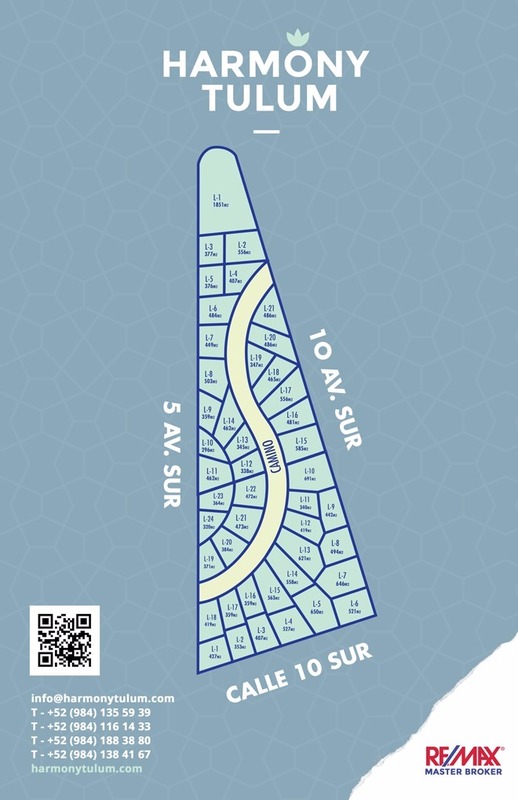 The master lot of Harmony Tulum is a triangle “split” by and “S” shape road resulting in an amazing pattern of radial vectors that shape and distribute the Lots. In addition, Harmony Tulum neatly blends into the natural surroundings providing with a unique opportunity of Tulum LifeStyle.